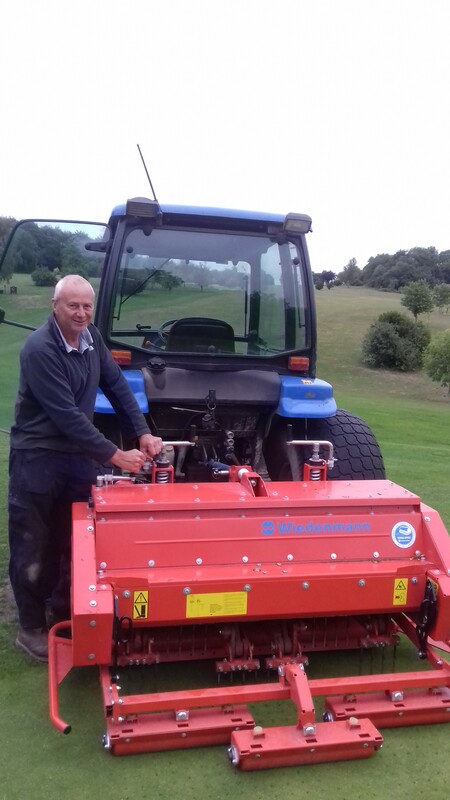 During his 26 years at Ashley Wood GC in Blandford Forum, head greenkeeper, Mark Sherwood, can count the snow days there on the fingers of both hands. With high elevation and fast draining chalk soil, extreme weather rarely halts play at the Dorset club. Indeed during winter, Ashley Wood is a magnet for those looking for year round golf. So in March, when Andy Frost from local Wiedenmann UK dealer, EG Coles of Shaftesbury and Chas Ayres, Wiedenmann UK Sales Manager, pitched up to install a Terra Spike GXi 6 aerator, everyone was hugely surprised by a 3 inch snowfall. 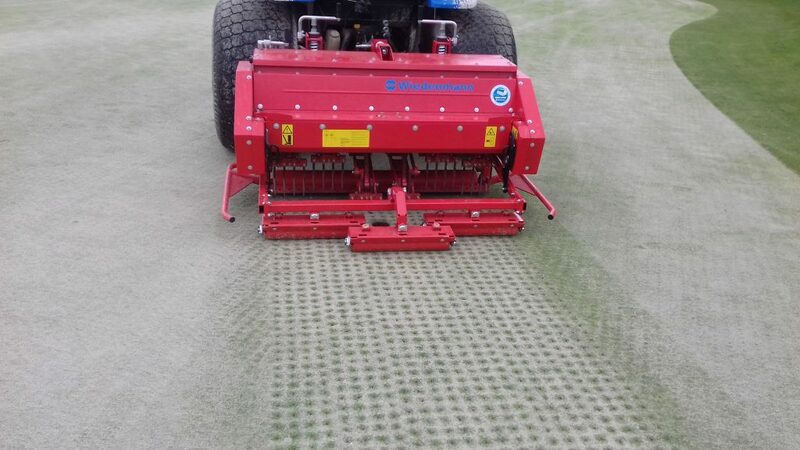 Ashley Wood’s GXi 6 was specifically chosen to deliver a clean finish to the greens, tees and aprons. Being busy with member and society golf leaves little down time and aeration can’t be allowed to cause disruption. Mark and his team of four have kept to their planned programme and been out every three to four weeks, varying heave and depth as appropriate. Wiedenmann UK has provided innovative and specialist machinery across the UK & Ireland since 1991.